We are beyond grateful to announce that between donations made through our Facebook Fundraiser and website, we've reached our #GivingTuesday goal of raising $10K for homeless foster youth! From the bottom of our hearts, THANK YOU for the tremendous outpouring of love and support. Sixty-three percent of Sonoma County households were impacted by the 2017 wildfires. The direct effect the fires had on the local housing and job markets left thousands of people without permanent shelter or employment. A year later, many are still struggling to get back on their feet, 115 Sonoma County foster youth among them. Twenty-four percent of homeless youth in Sonoma County have a history of foster care. Transition-age foster youth, 18 – 24, already begin their adult lives with little to no possessions or savings, no family to rely on for emergency support, and have not yet completed their education or secured themselves in the workforce. Many are also young parents, struggling to meet their family’s basic needs in addition to their own. These pre-existing barriers, coupled with the impact of the wildfires, have contributed to an increase in foster youth homelessness and vulnerability throughout Sonoma County this winter season. 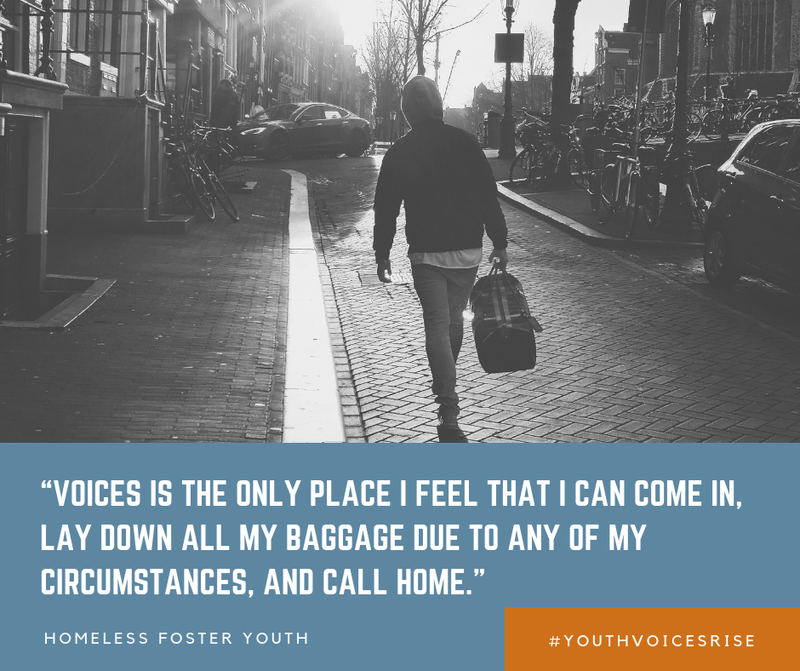 On The Move and VOICES are raising $10,000 to provide homeless foster youth in Sonoma County with urgent and necessary resources, such as food and cookware, clothing, temporary shelter, and baby supplies (for those who have families) this winter season.